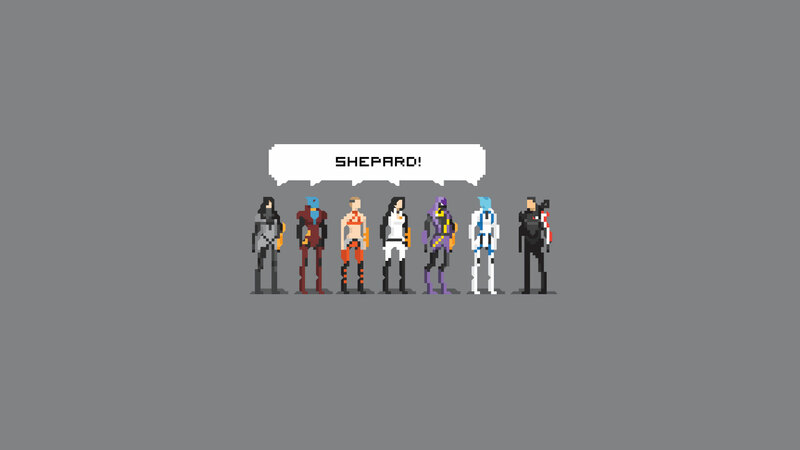 Artist Ricky Linn has, in a fit of excitement over the release of Mass Effect 3, drawn these great little homages to the cast and crew of the Normandy. Given the art style and their original dimensions, I thought it was only fair to resize them into wallpapers. One for your desktop, the other three for your phone. You can see more of Ricky's stuff at his personal site. Am i missing something with it being in like 8 bit quality. Cant imagine having that on my desktop. Not hating on the graphics as play minecraft lol but dunno kinda thinking be bit more exciting than that.